We are pleased to announce that Switcheo Account is now ready for an official release and is now (26th March) live on our main exchange! New users will not need to create or own wallets if they are trying to use the exchange for the first time. Presented with a familiar login screen, users will be able to deposit and withdraw in exactly the same way as a centralized exchange, reducing friction for less experienced users. Just as secure as a DEX, Switcheo Account will also come with a 2FA system and phone verification for added security. When users create a new Switcheo Account, they actually create a multi-chain wallet using mnemonic phrases, which is then encrypted using state-of-the-art technology and procedures. Since Switcheo Account details are encrypted on the client-side before being transmitted, Switcheo is never able to access users’ wallets. This ensures users’ wallets and funds remain secure at all times. To find out more about the features of Switcheo Account, click here. A step-by-step onboarding guide for new users can be found here. Switcheo Account Launch Promo — Receive $5 in ETH! On March 15, we conducted a closed beta to get users’ views on their experience on the exchange. Overall, we received valuable feedback from users and are very happy with the results. We would like to take this opportunity to thank all of our supporters and community for contributing to the success of this launch. 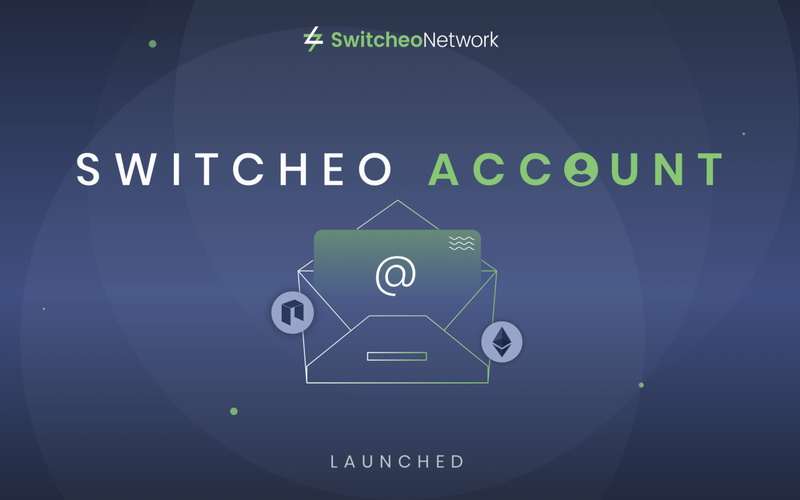 Create your very own Switcheo Account today!